One of the most notable features of the sustained economic downturn and the greatest puzzle of the ongoing recession is the imbalance between negative growth and unemployment. Bizzarely, unemployment has actually fallen in 2012 despite the ongoing gloom, public service cuts, lack of forecasted growth and credit problems. Despite predictions that unemployment would rise to 3 million it peaked at 2.51 million and has fallen by 130,000 in the past year. And according to the Chartered Institute of Personnel and Development (CIPD), the pattern seems set to continue into 2013. In a bid to explain the contradiction of falling unemployment in such austere, bleak, flatlined times, the government points to Britain’s flexible labour market, with workers prepared to prioritise continued employment and accept pay freezes, a lessening of hours worked and short term contracts in a bid to stay afloat through the remainder of the crisis. Privately, however, some ministers are questioning whether this alone can explain the phenomenon. Could it be that more people are working in the black economy because it has become increasingly difficult to draw benefits as job seekers are forced to jump through ever narrowing hoops. 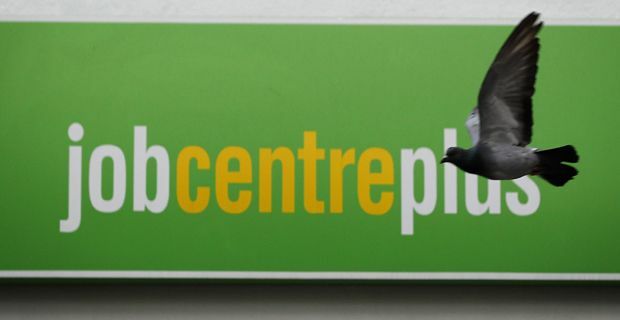 The sheer pressure on benefits claimants to sign up to endless schemes and submit proof of job interviews may have driven people into the black economy. Ultimately, employment statistics are based on those out of work and claiming benefits rather than those actually in work. So while the numbers stay down, it is because people have found a way to scrape by without involving the state. The flip side of that is that despite not claiming benefits, they also don’t pay any tax. As Tory ministers and the right wing press trot out the ‘scrounger’ label as well as making claiming increasingly difficult, people are working under the radar. There is no official figure for Britain’s hidden economy, in which companies avoid paying VAT and workers do not pay tax, but the loss to the Treasury has been estimated at £2bn a year. One Whitehall estimate is that one in three people who stop claiming Jobseeker’s Allowance (JSA) switches to working in the “informal economy”.